Nokia 9210i also has the overall system speed increased due to faster memory: file writing is 40% faster, CPU intensive operations (contacts search etc.) is 30% faster and HSCSD e-mail header download is 3 times faster. File management is up to 10 times faster than on 9210. 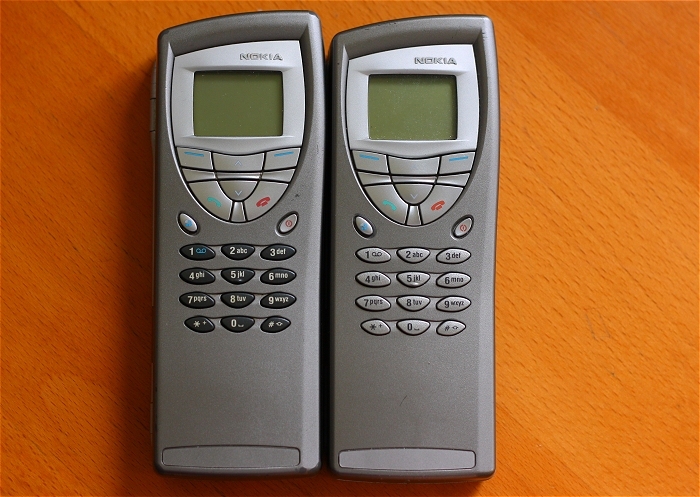 In 92xx's golden years it was frequently asked if Nokia 9210 could be updated to 9210i, and the answer was and will always be no. In fact none of Nokia's Symbian OS devices can be updated to their i models. Nokia 9290 is basically the same device as 9210, but it's targeted at American markets. It uses the GSM frequency band of 1900, and is named after that. Nokia 9210c is the same device as 9210, but it's targeted for Chinese users. It has its own PC Suite version and features Chinese character input in Changjei, quick Changjei, Pin Yin, simplified Pin Yin and stroke (traditional and simplified) and an English-Chinese dictionary. Like 9290 it uses the GSM frequency band of 1900. Nokia 9210e is a Nokia 9210 locked to Orange network. It's not an official model of Nokia because it's named by Orange. Nokia 92xx models have some bad sides in them, mainly because the underlying OS version was not mature enough when the devices were launched. For one, the models didn't have Bluetooth or GPRS unlike many of the models released at the same time. The reason is that the Symbian OS version which the 9210 houses - v6.0 - doesn't support these data transmission methods. The 92xx models had to settle with infrared connectivity and HSCSD (High-Speed Circuit Switched Data, superior to Circuit Switched Data) data transmission. Also a slight con was that the device's PC data cable's interface was serial (RS-232) and not USB which would've boosted up the connectivity between the PC counterpart noticeably. The maximum data transmission rate for an RS-232 cable between 9120 and PC is 115200 bit/s and in USB (v1.1 which was launched in 1998) it is 12 Mbit/s - that's over 104 times more data per second. The difference between these two interfaces is outstanding. It's a pity that a model designed specifically for data-intensive applications and purposes had such bad connectivity interfaces put into it. The 92xx Communicator models also suffered from rather sluggish processors - Nokia 7650 which was launched a year after 9210 had a processor precisely twice as fast - 104 MHz. This is not just the 92xx models' problem: Nokia 9500, 9300 and 9300i also had slower CPUs compared to the Series 60 models which were launched at the same time.